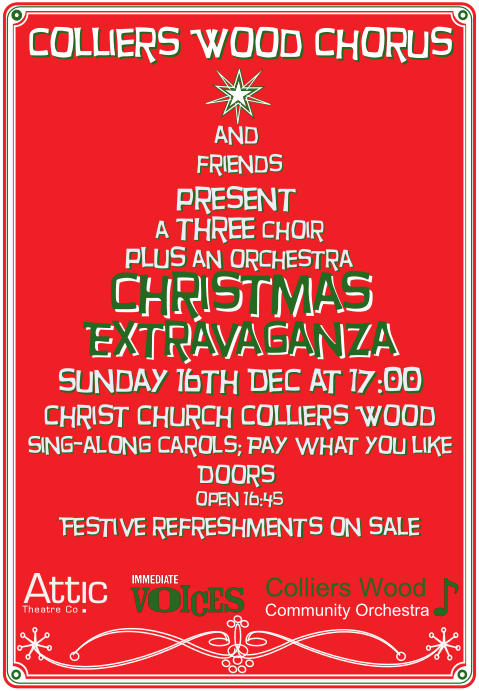 Our Christmas concert will be the usual celebration amongst friends, featuring Immediate Voices, Going for a Song and the Colliers Wood Community Orchestra. And maybe you? We'll be welcoming new singers to try us out from 12th November, after King Arthur. The late afternoon start means it won't impinge on your Sunday lunch, and it will finish at the civilised time of around 7.